As the capital city of South Australia, Adelaide has a vital role to play in shaping the future of our state. While we face unprecedented changes arising from major global, national and local trends, our proven record of creativity, innovation and social transformation sees out City well-placed to lead the state in meeting these challenges. 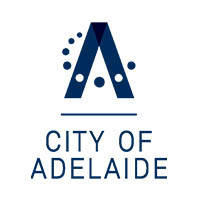 We plan to enrich Adelaide’s lifestyle and boost its growth by becoming one of the world’s smartest cities with a globally-connected and opportunity-rich economy. We will be one of the world’s first carbon neutral cities and a global leader in sustainability. Adelaide will always be a beautiful, diverse City that has an enviable lifestyle and is welcoming to people at all stages of life. Our authentic and diverse range of experiences will be internationally renowned. Achieving our vision will build upon the many things people love about Adelaide and help ensure our City and state thrive into the future. Contact City of South Australia NOW! Paul Daly, Entrepreneur Program Adviser, Adelaide City Council, presenting at the ACS Seminars Adelaide.